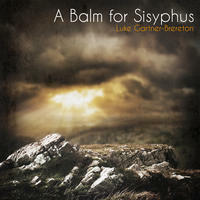 Luke Gartner-Brereton : A Balm for Sisyphus. A Balm for Sisyphus is a thoughtful meditation: fifteen stories to sooth the soul and ignite the imagination, wrested from precious things of string and wood. A blend of genres and styles, the album features the soothing tones of Classical and Spanish guitars, the percussive rhythms of Spain, the sweet chirp of a soprano ukulele, and a healthy infusion of groove. Each track tells a tale of hope or sorrow, with nylon strings providing warmth and depth, percussive elements giving each song vitality and movement, and melodic riffs infusing each track with pathos. Listen long, listen well.